It’s so important to make necessary skincare tweaks for the changing seasons. And even low-maintenance skincare regimens need to up the ante for winter. Scandinavia is home to some of the most gorgeous winterscapes around, so it’s safe to say that they have also perfected the art of cold-weather hair- and skincare. Shop some of our very favorite Scandi beauty staples to help you get through the season – Elegant and minimal packaging included! 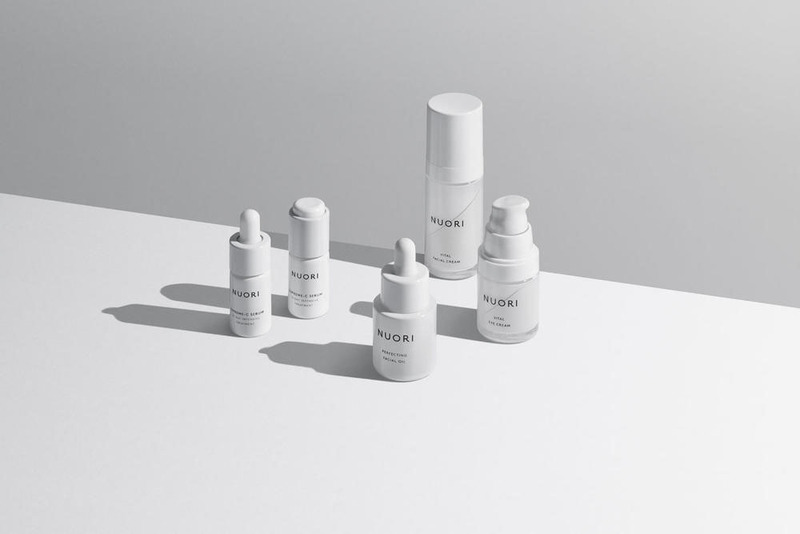 Nuori Supreme Polishing Treatment: We’re obsessed with this clean-beauty Danish brand’s polishing treatment. Mix the two products yourself for a day-to-day blend that adapts to your skin as needed. Lernberger & Stafsing Moisture Boost Serum: This Swedish company believes all people have the right to honest beauty products with superior results without harmful chemicals. We agree. Try their lightweight serum to plump skin and prevent drying. Niki Newd Gourmet Mask Set: Can’t decide on just one mask? Neither can we. This Nordic sampling of masks contains food-grade ingredients that work to brighten, moisturize, and treat all skin types. Sprekenhus Eye Cream: The delicate skin around your eyes need protection too. Try this Norwegian eye cream with botanical extracts that are safe and effective for all skin types. Tangent GC Yuzu Hand Cream: Between the gorgeous packaging and bright citrus scent, you’ll be reaching for this hydrating hand cream all season long. Björk & Berries Rescue Kit: Using natural remedies and rituals from the deepest forests of Sweden, this brand is all about utilizing safe, natural ingredients to deliver a seriously elevated product. The Rescue Kit is a must-try for winter, with a balm and cream to keep your skin healthy and hydrated. Sachahjuan Hair Repair: One of our editor’s favorites, this Swede hair treatment repairs strands and restores much-needed moisture. Rudolf Care Lip Balm: After receiving concerning blood test results, Andrea Elisabeth Rudolph decided to start making her own environmentally-conscious products free of harmful ingredients. The result is a fabulous product line that boasts both the Nordic Ecolabel and the organic certification Ecocert (now Cosmos). Start with their life-saving lip balm that won’t wear off even after a shower (or a glass of wine). Kjaer Weis Facial Oil: Organic skincare enthusiasts, rejoice — Each product is hand tested for safety and effectiveness, with almost every product certified organic. Start with this facial oil that won’t weigh down your skin and give you a glow. SkynIceland Oxygen Infusion Night Cream: Inspired by nature and pure ingredients, SkynIceland is all about vegan and cruelty-free products that nourish and restore tired skin. Our favorite? This peptide-packed night cream that does all of the work while you catch your zzz’s. All set with your winter skincare? Don’t forget to pick up some of our favorite Scandinavian perfumes. Disclaimer: This post contains a few affiliate links, meaning that we might make a dollar or two if you decide to purchase an item.